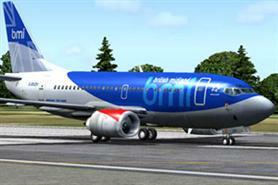 British Airways (BA) is acquiring rival airline British Midland (BMI) in a deal worth around £300m. BA owner International Airways Group (IAG), which also owns Iberia, and BMI owner Lufthansa said they expect to finalise the deal in the "coming weeks", with the aim of completing the transaction in the first quarter of 2012. BA rival Virgin Atlantic, which also bid for BMI, described the takeover as "anti-competitive", arguing that it would be disastrous for passenger choice. The deal remains subject to regulatory approval. IAG said in a statement: "International Airlines Group and Deutsche Lufthansa AG have today reached an agreement in principle for the sale of British Midland Limited to IAG." "It is envisaged that the purchase agreement will be signed in the coming weeks and the aim is for the transaction to be completed in the first quarter of 2012."